10 Puppies – An adorable app that is both educational and fun! 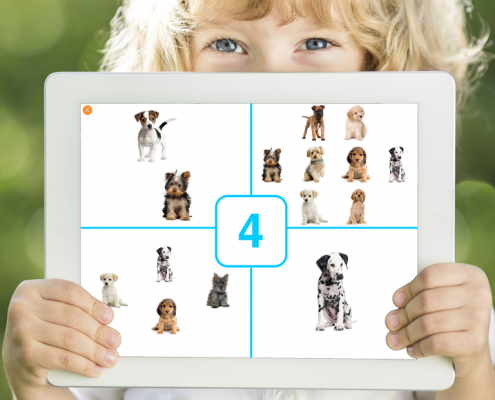 10 Puppies is a talking app in English, French and Spanish with beautiful images of puppies that facilitates learning the counting sequence up to ten. 10 Puppies helps children learn to recognize, distinguish and identify the corresponding numbers. 10 Puppies has several interactive elements that reinforce learning and maintain your child’s interest. Three playing modes add excitement and fun to learning! 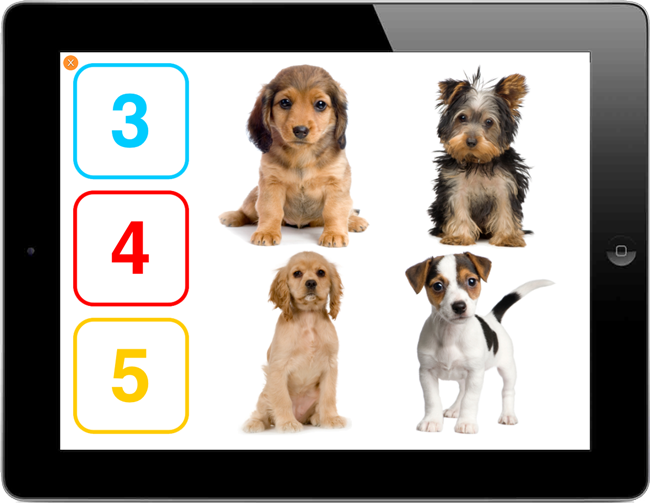 10 Puppies is a great counting app that helps preschool aged children learn to count in sequence up to 10. Within 10 Puppies there are various degrees of positive and negative reactions. These reactions encourage multiple tries and reinforce learning by emphasizing the correct answer.